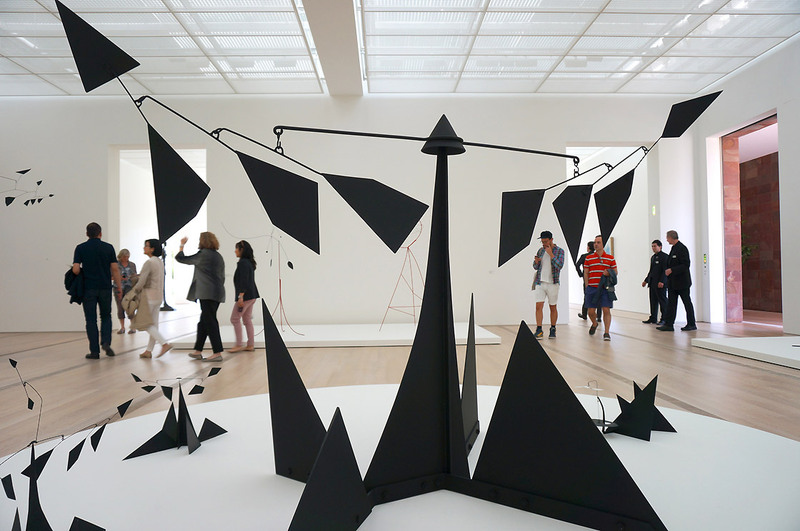 The Calder Gallery in the Fondation Beyeler in Riehen (Basel, Switzerland) is a collaboration between the Calder Foundation and Fondation Beyeler. 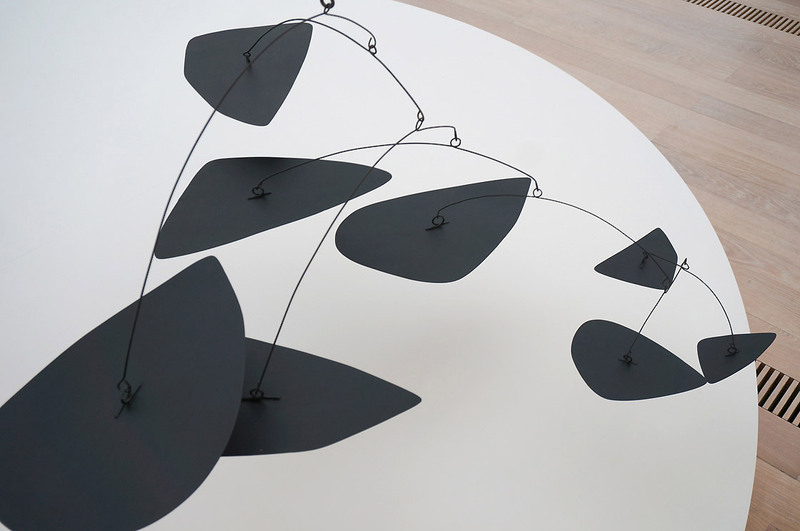 It's a dedicated space in the museum, where selected works by Alexander Calder are shown. The first presentation (2012-13) was a tribute to Mary Calder Rower, the artist's younger daughter. Recently, the second presentation that will run until 2014 opened under the title Trees -- Naming Abstraction. Calder Gallery at Fondation Beyeler in Riehen/Basel (Switzerland). The presentation starts with a group of standing mobiles created as models for the avant-garde redesign of the Bronx Zoo. 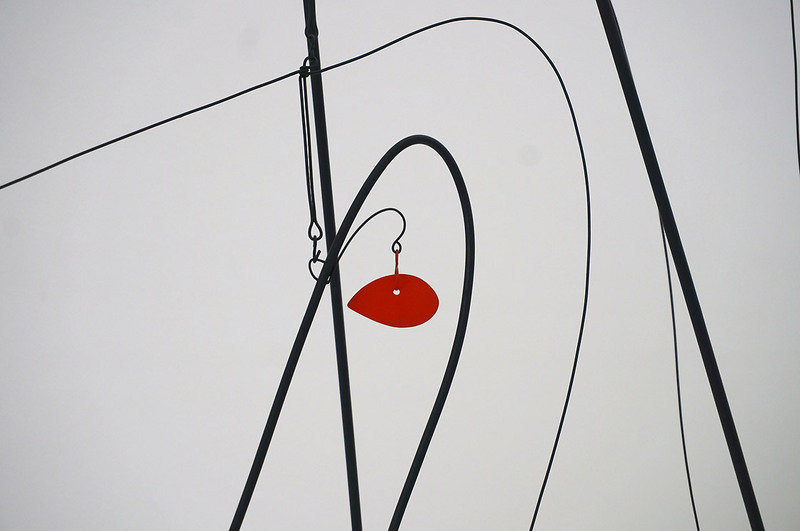 Although the project was not realized in the end, it shows the innovative potential of Calder's artistic ideas. A second group of works, including original and related intermediate maquettes, explores the creation of Tree, a monumental standing mobile that will soon return to its customary place on the grounds of the Berower Park surrounding the Fondation Beyeler. In addition to loans from the Calder Foundation, the presentation includes rarely loaned works that are in private ownership, as well as works from the Fundació Joan Miró, Barcelona and the Moderna Museet, Stockholm. Alexander Calder: The Forest is the Best Place, 1945. Sheet metal, wire, and paint. Moderna Museet, Stockholm, Gift of Friends of Moderna Museet, 1958. (Detail). In this video, Alexander S. C. Rower (Calder Foundation President and Calder's grandson) and Oliver Wick (Curator at Large, Fondation Beyeler) talk about the title and the concept of the exhibition, the differences between the first and the second Calder Gallery at Fondation Beyeler, and specific works in the show, such as the models for the avant-garde redesign of the Bronx Zoo, and the mobiles The Forest is the Best Place and El Corcovado. Within this context, Rower and Wick discuss questions surrounding Calder's move to go outdoors and monumental, and his decision to start giving his works titles. They also reveal interesting details concerning the restoration of Calder's monumental standing mobile Tree, including the placement of the sculpture in the park and the wind tests, which were carried out in this context. Rower highlights the innovative potential of Calder's artistic ideas that shows in his designs for the Bronx Zoo, and Wick explains Calder's collaboration with architects. Alexander Calder: The Hairpins, 1939. Sheet metal, wire, and paint. Collezione Gori -- Fattoria di Celle, Santomato, Pistoia. Trees -- Naming Abstraction runs until January 2014. The monumental standing mobile Tree is scheduled to return to Fondation Beyeler's Berower Park in early September 2013.